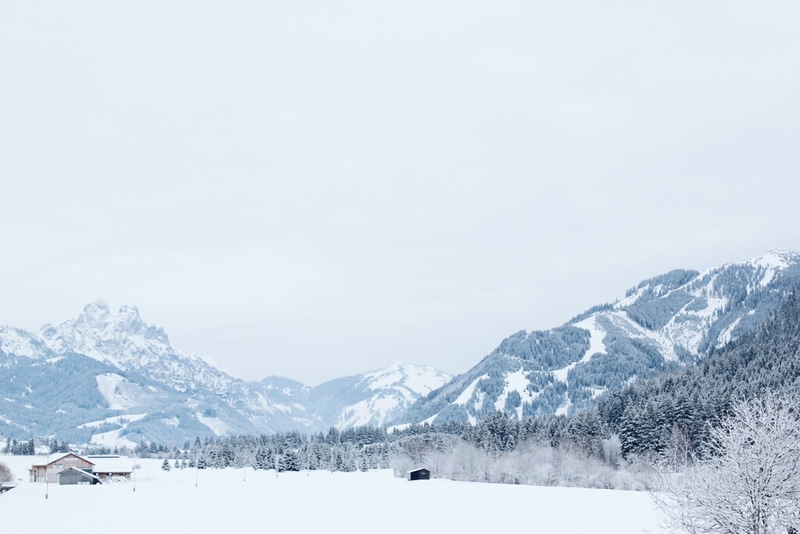 Living in Switzerland, skiing is a big part of our lives. 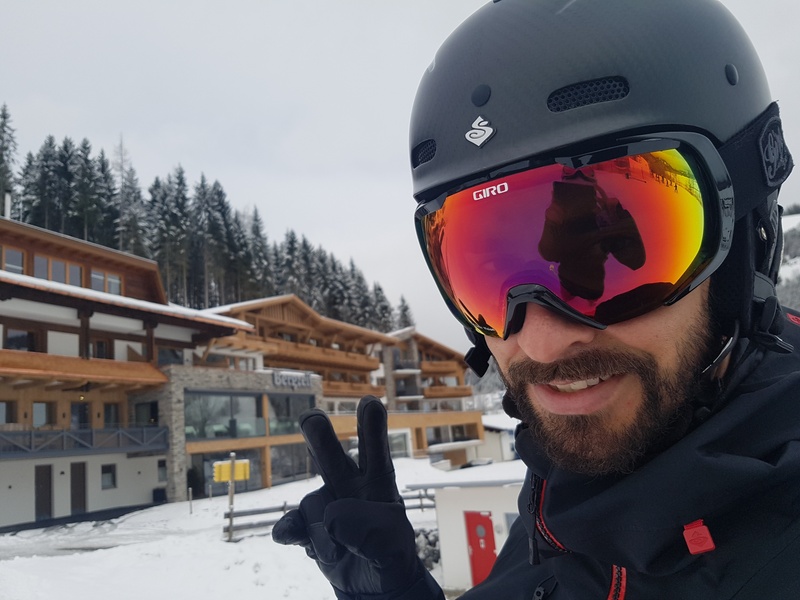 Martin is an avid skier and snowboarder, always looking for a ski tour or a steep hill to tackle. 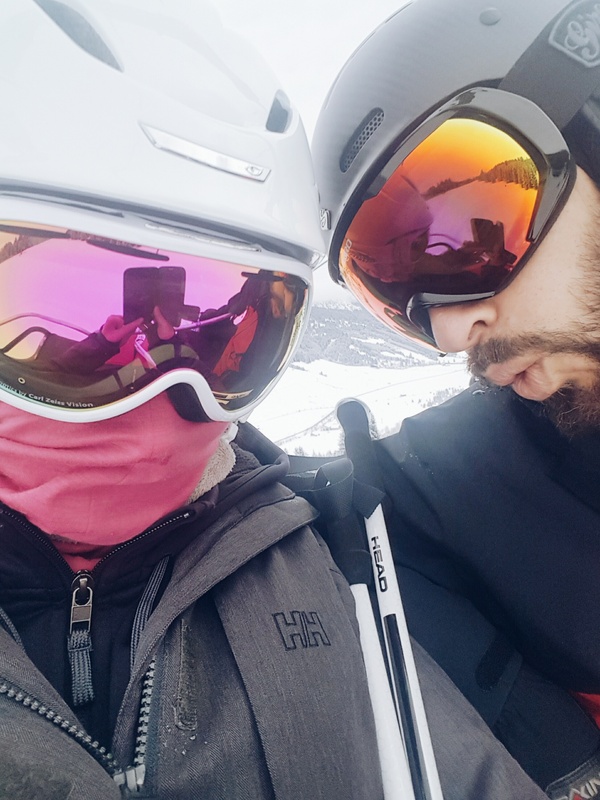 I, on the other hand, love my skiing to be chill and meditative, preferring slopes that lead through forests and where a helmet is optional 😉 So when we felt the itch to go away for a couple days, we looked for an eco hotel that would offer lots of skiing opportunities, some relaxation time for the two of us all while being green and sustainable. 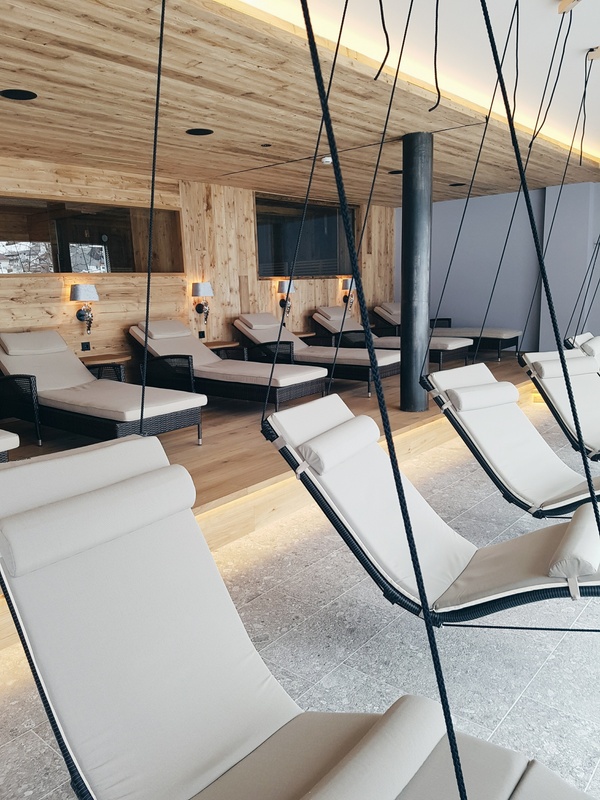 We found it at Biohotel Bergzeit in the tiny village of Zöblen, Tyrol and we absolutely loved our time there! Because we care deeply about the type of food and amenities the hotels we stay at are offering, I went on the Biohotels website, through which we had already booked in the past. 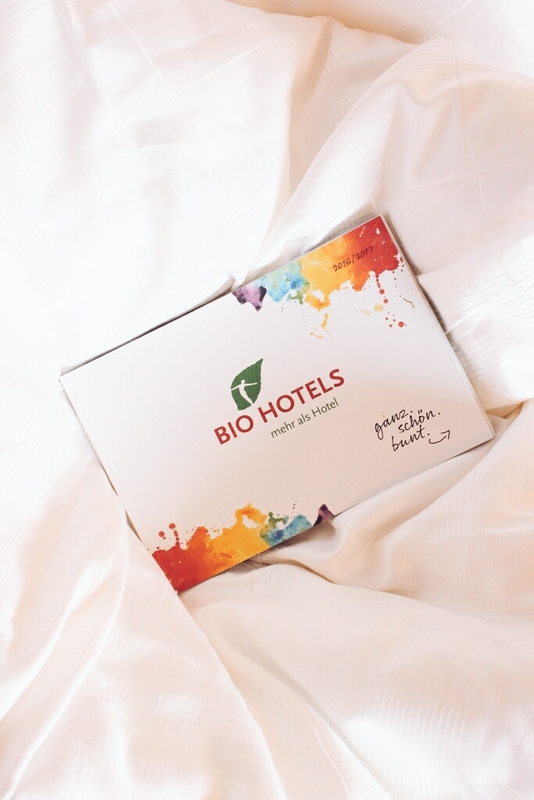 Biohotels is an ever growing selection of nearly 100 close-to-nature eco hotels in Europe that are subject to regular checks regarding standards of sustainability. The ehc certification gives you the peace of mind to know that these hotels are following strict eco guidelines. They are mostly family run and well integrated into the local community. This means you can expect 100% organic and green ways of doing business: You will get to enjoy regional and mostly seasonal all organic ingredients as well as vegetarian and often vegan food. The non-food sector such as cleaning products and natural cosmetics is also part of the overall goal to massively reduce your carbon footprint. The hotels all use green electricity and recycled paper. 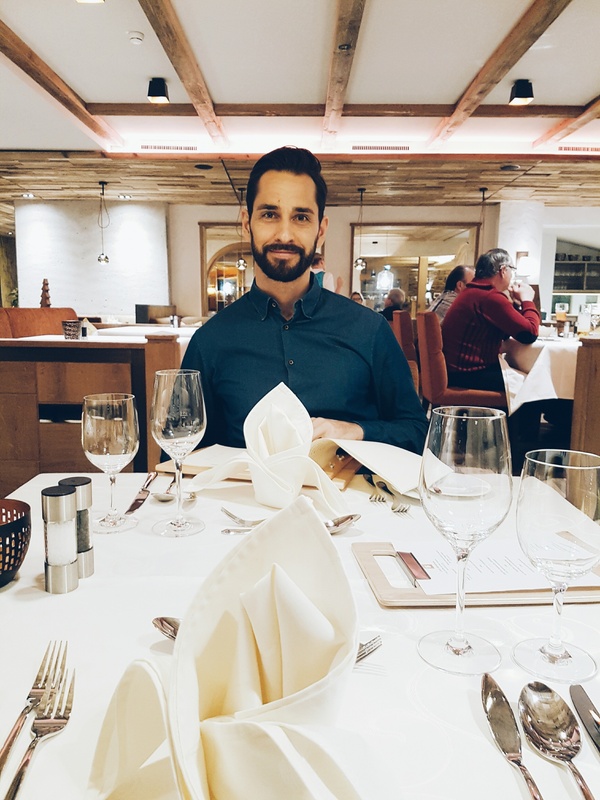 While strict guidelines apply on a national level to organic food, Biohotels is the only association setting rules for minimum standard quality of food in their hotels. These hotels have truly committed themselves to making a difference wherever possible! 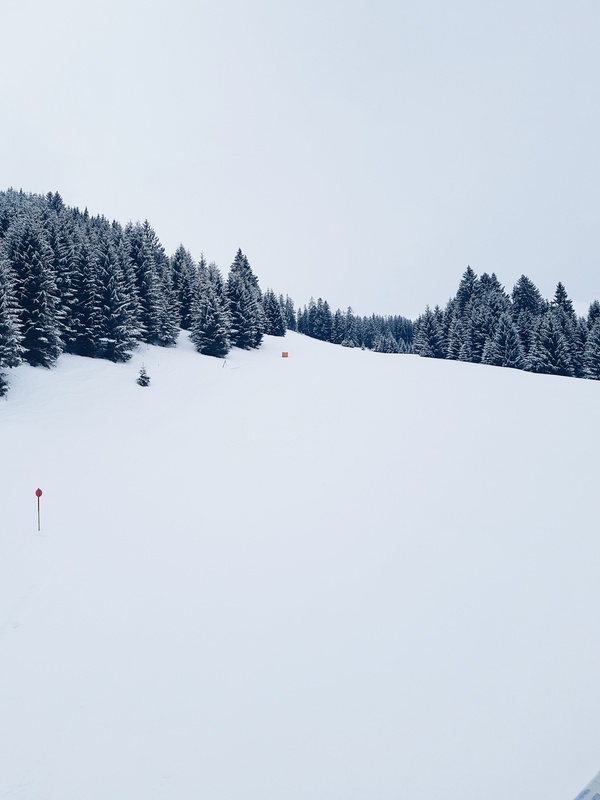 Because our dates were fixed quite a bit in advance, we had to adapt to the weather conditions and search for something that would offer open slopes at a reasonable price. Switzerland hasn’t gotten very much snow in the last few weeks and not all the ski resorts are open. Coupled with our decision to stay at an eco hotel whenever possible, our choices became even more limited. 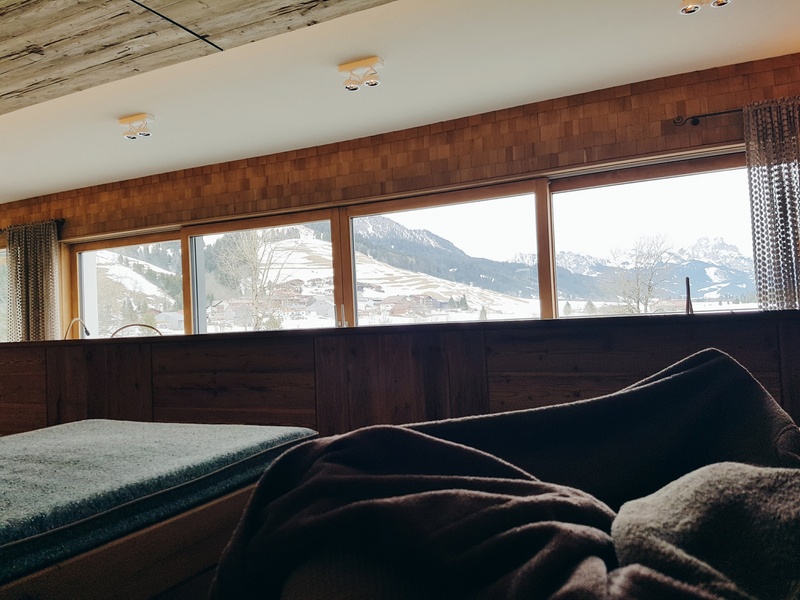 We had stayed in Austria at an eco hotel for skiing before, so we decided to look there again. 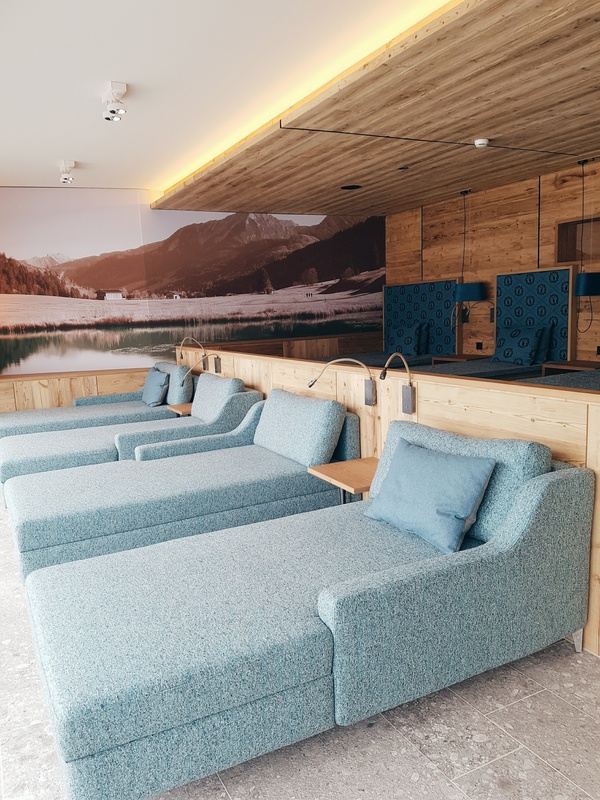 We settled on a new eco hotel, Bergzeit, in the little village of Zöblen, Tyrol, in the northwestern part of Austria, not too far from the Swiss border. 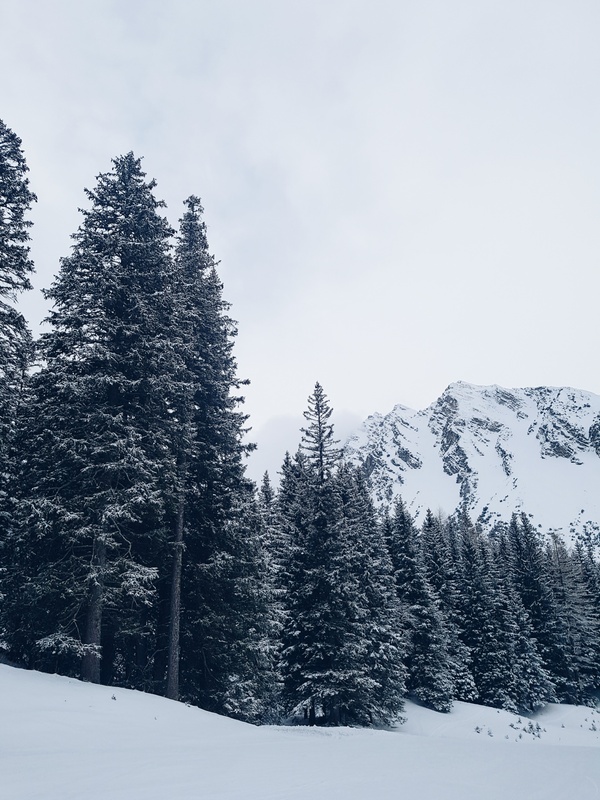 It’s a lovely region called Tannheimer Tal with small mountains, well known for its hiking, rock climbing, and mountain biking opportunities in the summer, alpine and cross-country skiing in the winter. The villages are quaint and boasting typical Tyrolese architecture, old as well as modern. It’s a very quiet region, perfect for long walks in the snow and taking time for yourself. The hotel is perfectly located right next to the ski lift, you literally can hop on it a mere 200 feet away from the hotel entrance. For a lazy girl like me, who has Martin carry my skis whenever I can, this is a major selling point. 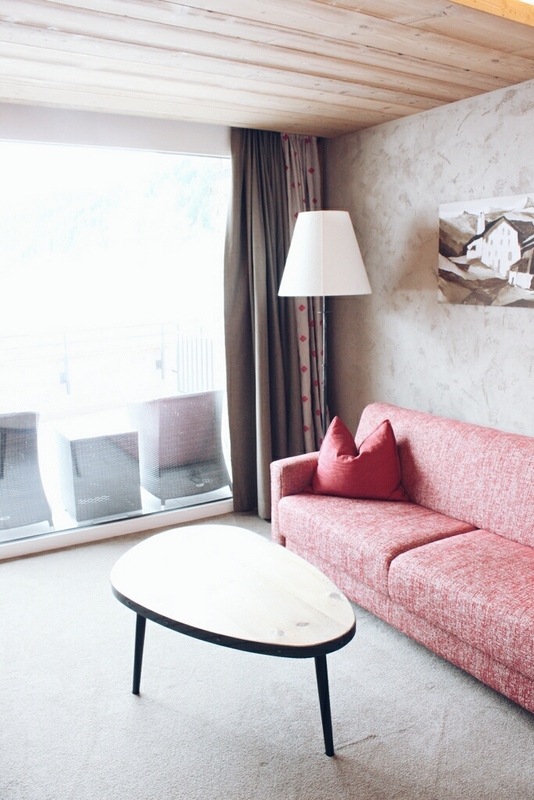 It also gives you a lot of flexibility when deciding whether you want to hit the slopes because you can just check the conditions from your balcony! Because of its fairly remote location, we drove to Zöblen by car which took us about 4 hours from our hometown in Switzerland. It is about a 3-hour drive from Zurich and a 2-hour drive from Munich and Innsbruck. We don’t use our car often as both Martin and I commute to work using public transportation. When going on trips to mountain resorts we tend to drive also because of the things we bring with us: skis, snowboards, shoes, etc. We always try to offset our trips by donating to myclimate.org projects. Zöblen is a mountain village in the Tannheim valley region and is situated at an elevation of 3,566 ft. It has a climate typical of Austria and Switzerland mountain regions: it gets quite warm in the summer and cold and snowy in the winter. We were lucky to go on a weekend when the slopes were open despite the minimal snowfall over the last few weeks. 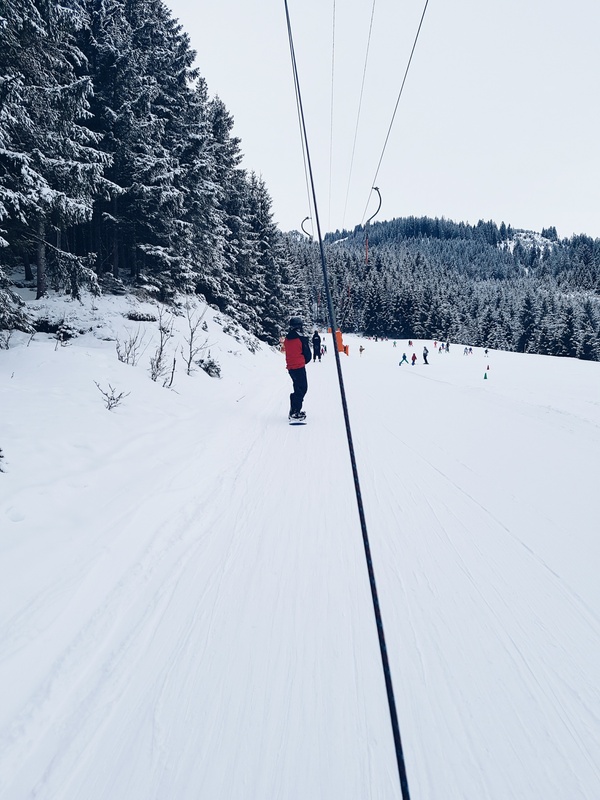 The temperature was perfect for skiing, not too windy and so that I wasn’t whining about cold feet or hands which greatly improved my skiing experience in the morning. It was cloudy and gray later on which had us decide to enjoy the spa in the afternoon. 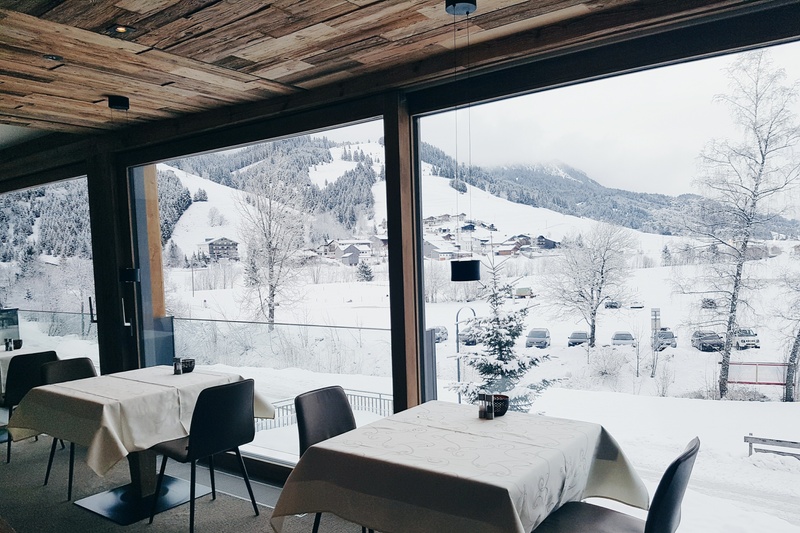 The hotel only just recently opened its doors to guests as part of a massive extension to a slope restaurant that the Sammer family running it acquired a few years ago. They decided to add a hotel to it and built it from the ground up. Hence, everything is very new and you will enjoy a very high standard of amenities. 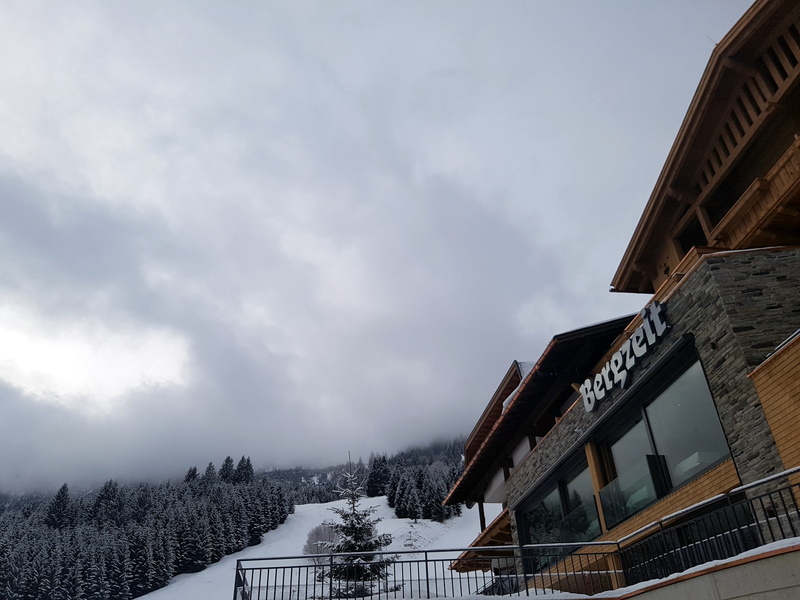 The Sammers run it as one of several hotels and lodges the operate in the region but are fully present at Bergzeit. The parents are working in the restaurant service and the two children and their partners run the administration, kitchen and service as well. We were greeted by the son’s very friendly girlfriend at the reception and instantly felt at home. Everything is brand new but still feels cozy. There is a seating area to read and relax with a big window front looking out onto the valley as well as restrooms for guests checking in or out. It is nice and spacious, with enough room between tables so as to ensure a private and romantic feel at breakfast and dinner. 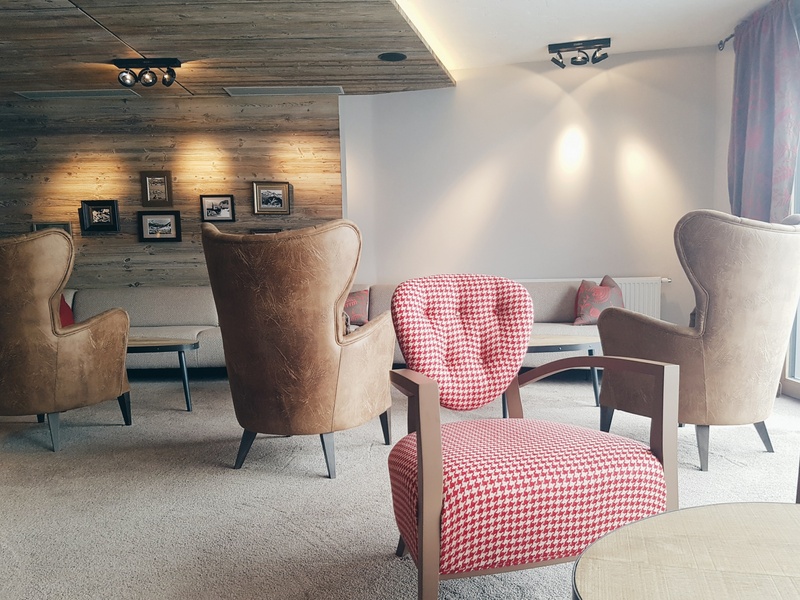 It is kept in typical Tyrolese colors such as browns and reds, the seats and benches are comfortable and the lighting is very functional while stylish. 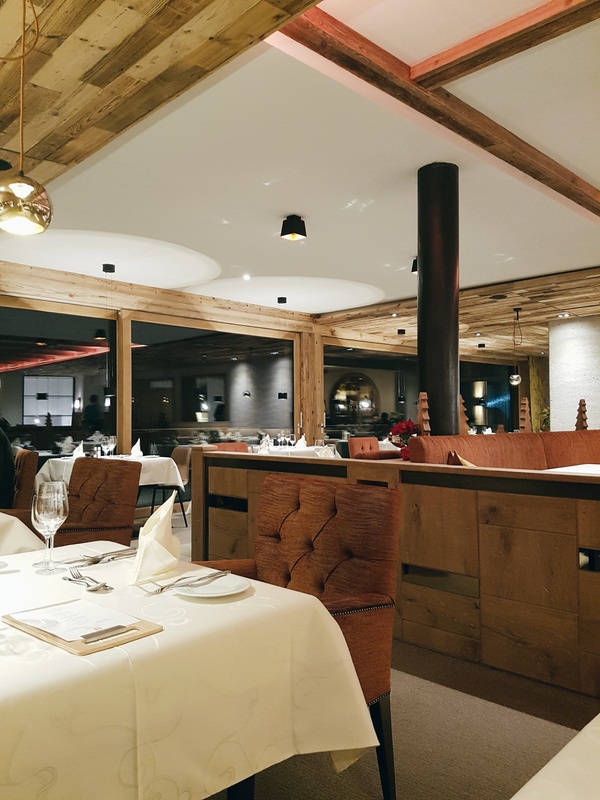 There is a public part of the restaurant, the old part that has been renovated and where ski guests come to eat lunch. The other part is reserved for hotel guests. It has a buffet area where breakfast and dinner are partly served and prepared. 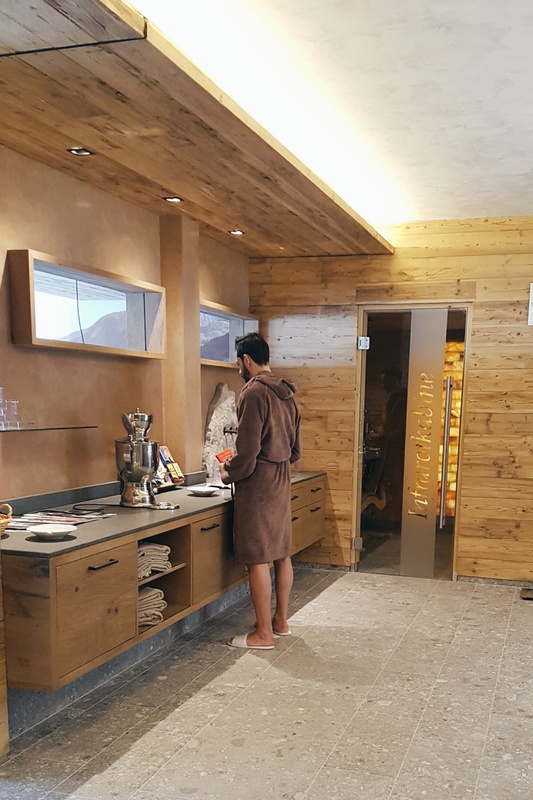 The spa is small but has everything you need to enjoy a few relaxing hours to recharge. It offers a sauna, a steam bath and a heat lamp room with two chairs. The quiet and relaxation room is spacious with different types of lounges, hammocks as well as water beds that will have you doze off in no time. It was very quiet with only a few people using the spa at the same time as us. We brought magazines and books to read and truly got to rest body, mind, and soul. There is free Wi-Fi in the hotel but there is such a sense of peace and quiet that you are rather content to leave your phone off most of the time, trust me. Bergzeit only has 27 rooms, ranging from double rooms with a shower/toilet to larger suites with added rooms and larger balconies. We stayed in the cheapest room “Landidyll” which still felt very luxurious with a wonderfully comfortable bed, boasting very nice blankets, pillows, and linens. As far I could tell the matresses and linens are not organic but from a regional company called Schraml. The blankets are made of polyester which isn’t great due to its toxic effects. I checked because I have to admit that I have rarely slept in such nice bedding. 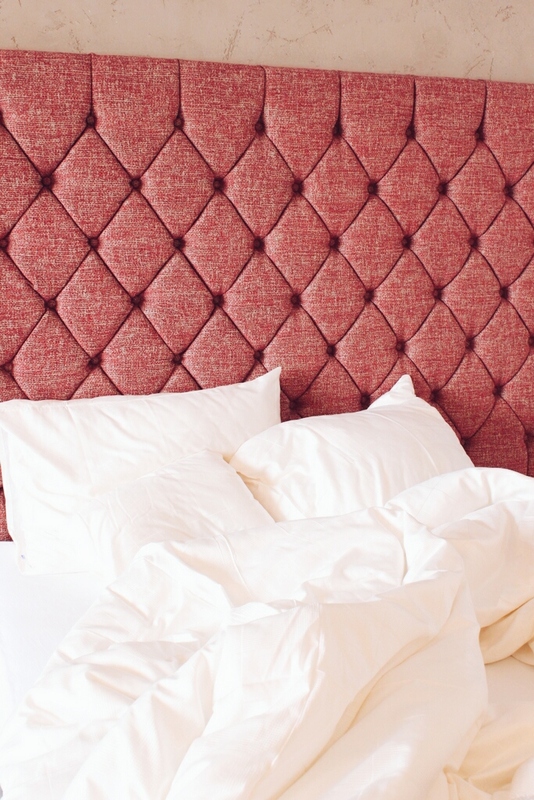 I am not overly surprised though as polyester is the most common fabric used in bedding but still a little disappointed that they didn’t opt for organic cotton or other natural materials. Room for improvement. The room also has a couch with a little side table, TV, telephone, safe, lots of natural wood and a spacious bath with a shower and toilet as well as a balcony looking out on the valley. The room is very cozy and you will love the silence! I cannot rave enough about the food! 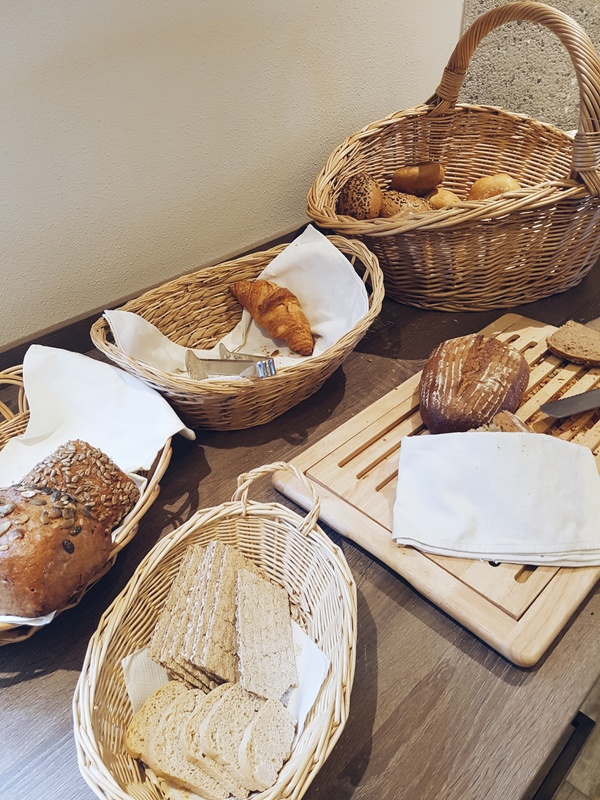 The breakfast is rich with different types of healthy bread options and amazing butter croissants, jams, honey, and vegan dips and spreads. You can get your eggs or fresh omelets done right in front of your eyes and there is an ample selection of soy options, granola, flakes, cheeses, cold cuts, and fresh fruit. The tea selection is a lovely organic tea brand as well as organic coffee options, of course. The room price includes breakfast, a light lunch buffet, as well as a 4-course dinner. Breakfast is served from 8-10am, lunch runs from 12-2pm and dinner from 6-8pm (arrival time). Lunch offers a variety of salads and vegetable and a soup option. It’s nice to be able to eat something light coming from the slopes and before heading to the spa to relax. 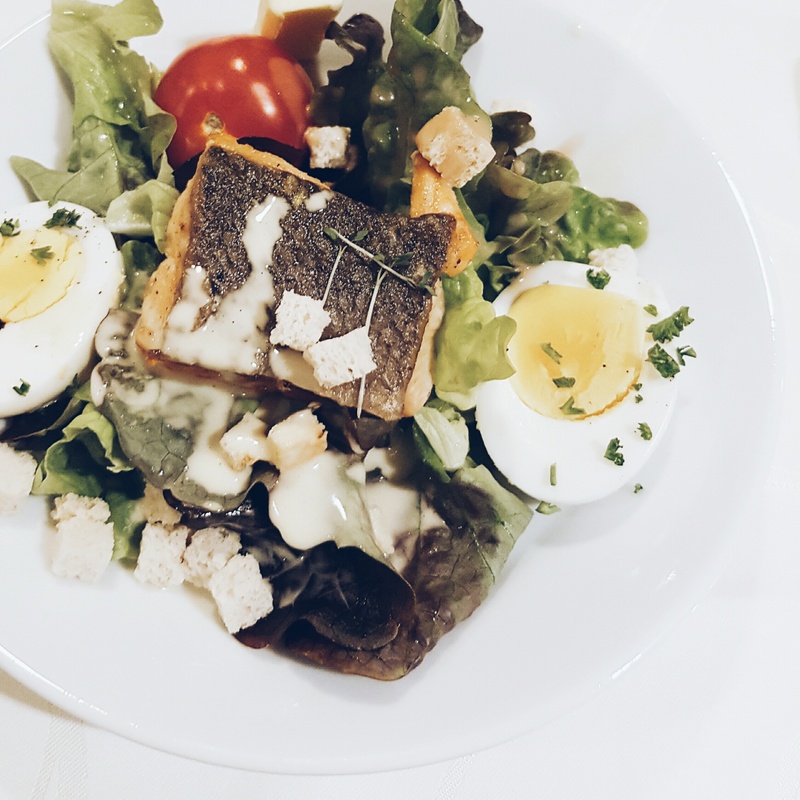 Dinner is another highlight: First, you start with a salad buffet with several vegetables and garnish options, three yummy homemade dressings as well as different oils and vinegar for you to make your own. Then you get to choose between two soups, one vegetarian and one based on a meat broth. We had an exquisite creamy celery soup. Then comes the main course: A choice of three main courses of which one is vegetarian. 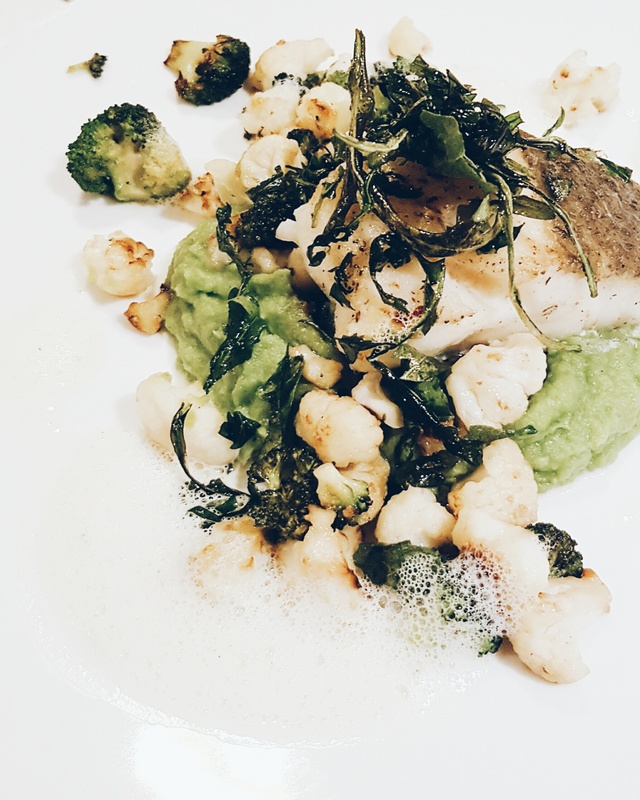 We both had a halibut fillet on a bed of broccoli and butter glazed cauliflower. The fish was so tender and the sauce very tasty yet light. 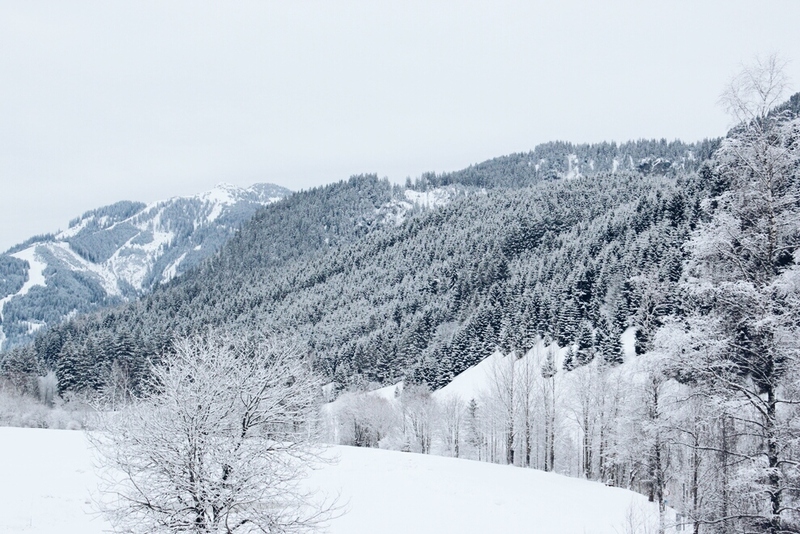 During the winter time, Zöblen offers alpine and cross-country skiing. We went skiing on both days, with the second day being better because it snowed through the previous night so the slopes weren’t as hard and icy as on the first day. 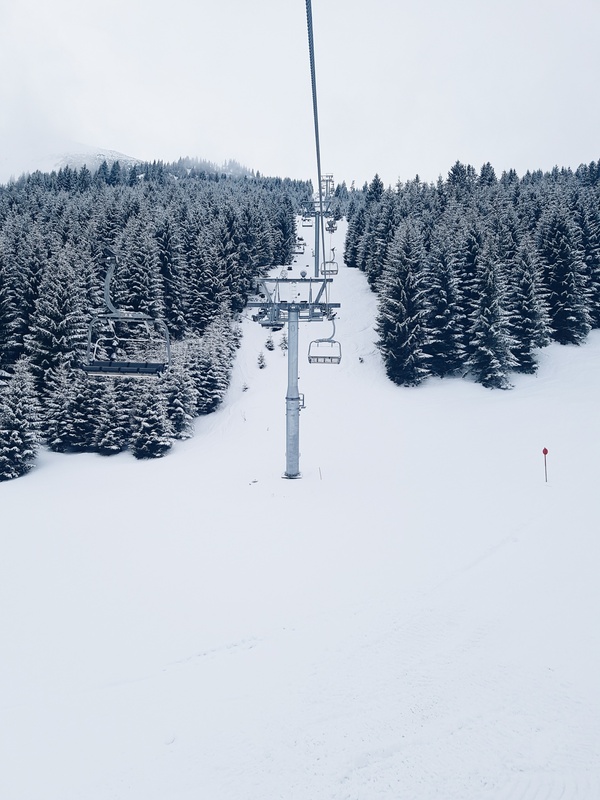 Compared to Swiss skiing resort prices for day tickets Zöblen is very cheap. We bought 2-hour tickets (I usually can’t ski for longer than that anyway) and they cost 21 euros a piece. 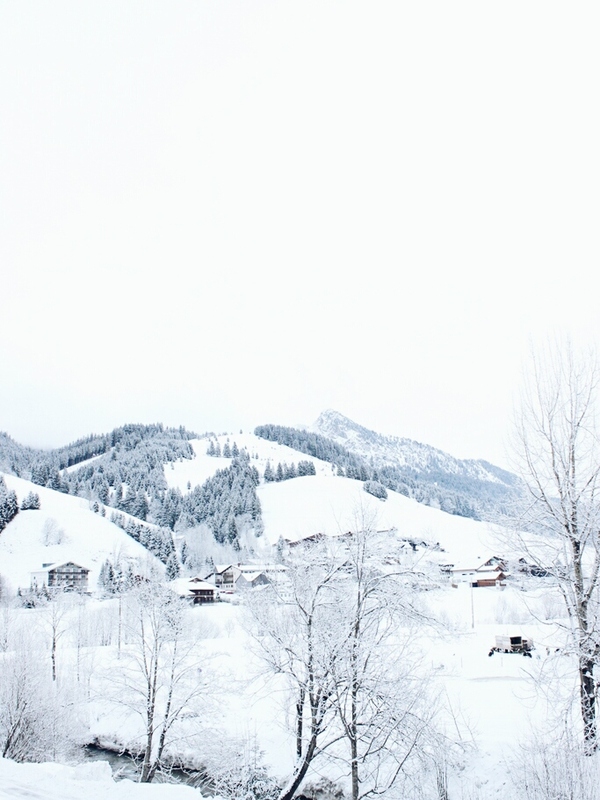 In the top ski resorts in Switzerland, the ski ticket alone can cost up to 80 Swiss francs. The slopes are diverse, ranging from black, red, blue to kids slopes (Yes, I love to ride those and proud of it.) 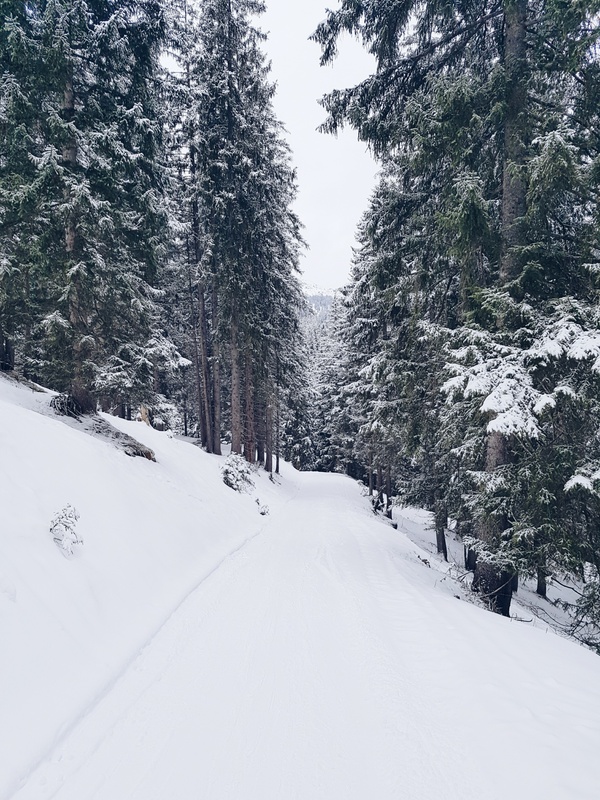 My favorite type of slope is the one going through the forest, that is not steep, where it feels more like a slow ride and you get to look around and take in nature and the peace and quiet. The small villages around Zöblen all have their own ski lifts and with more time I would want to explore them as well. There are several walking paths leading to several lakes in the vicinity that freeze and can be crossed. I wish we had had more time, we would have definitely gone on an extended walk as well. I would have liked there to be a gym at the hotel but it wasn’t something that was high on our list. Except for the bedding that could be more sustainable and natural and the fact that to get there you will most likely travel by car, this hotel is very green. 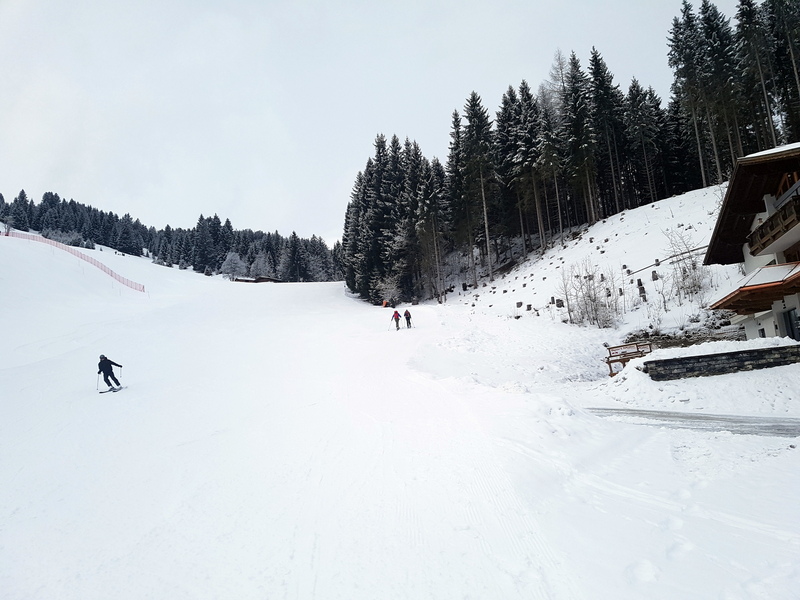 Once in Zöblen you can explore the area by foot and the skiing is taking place right in front of the hotel, so no transportation needed there. It is ehc certified and you can taste that the high-quality organic food is prepared with a lot of TLC. The spa is lovely and has everything you need. If I could add anything it would be a wider selection of magazines, a couple waters to choose from like lemon or peppermint water, and maybe blankets for the spa beds in addition to the towels. Some water/fruit in the room could also be added. There is no activity such as yoga or meditation, but the hotel itself is so quiet and relaxing that you will definitely leave stress behind even without classes. 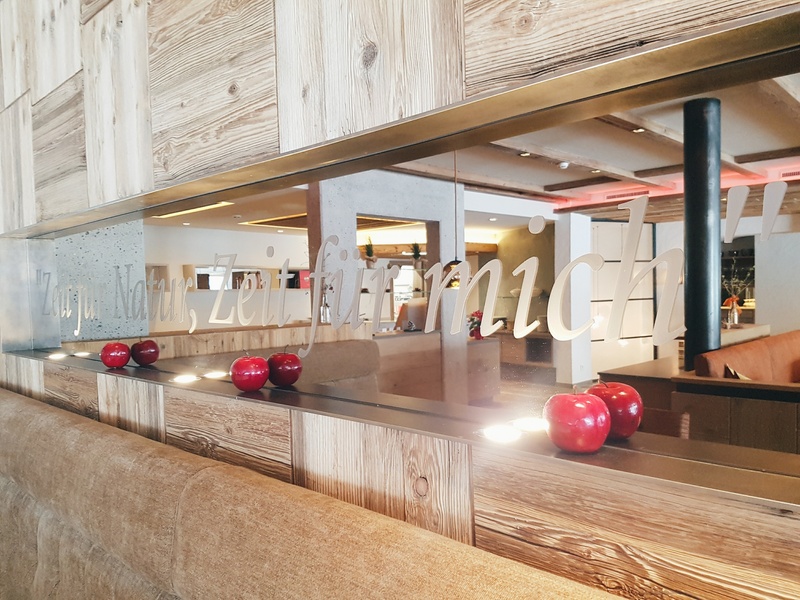 Late check-out is available for an additional 15 euros per person and that way you can use all amenities and the room until 7 pm. 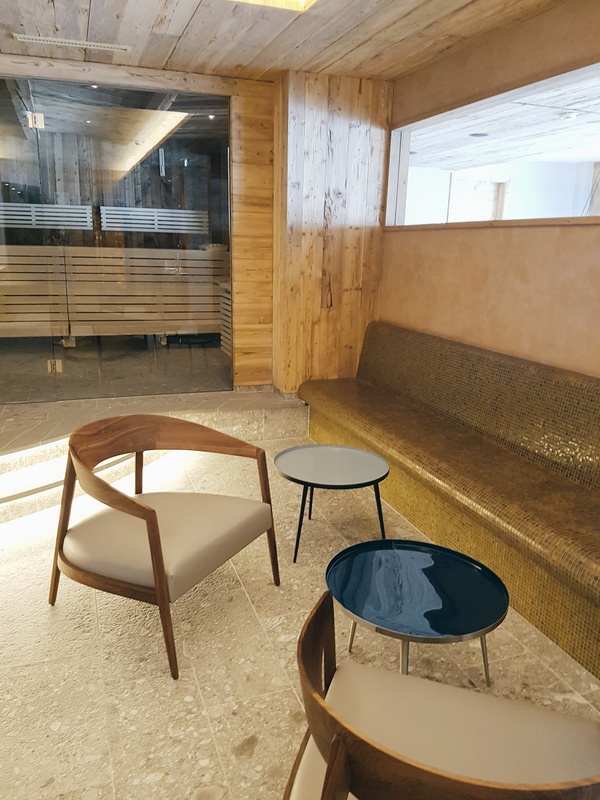 Having been open only for two months, I am sure the Sammer family will refine some of the details even more as time goes by and they receive more guest feedback. But so far, they are already doing a wonderful job! 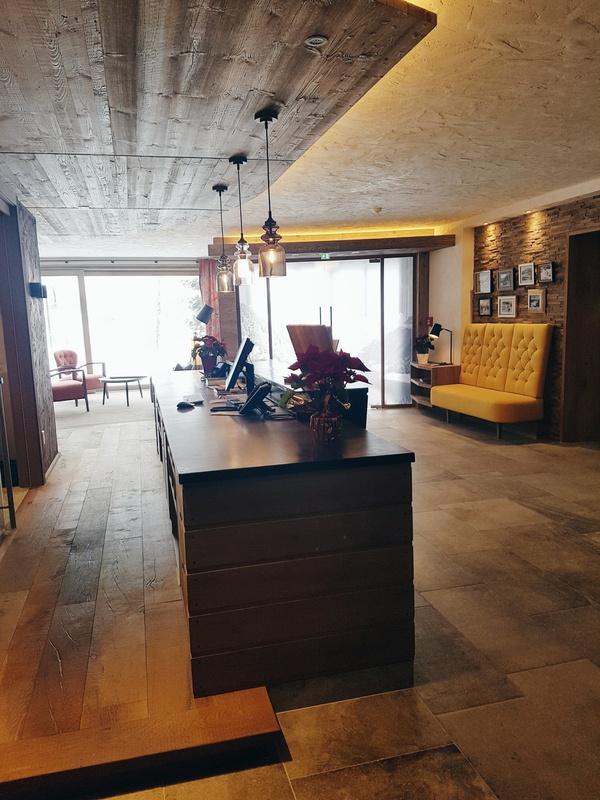 As with any of my eco travel review posts, ow comes my overall assessment of the experience: This is by far the nicest of the Biohotels we have been to so far: A great eco hotel, dedicated staff, and amazing organic food. A place to be in nature and be active, or just enjoy the spa and take time off. 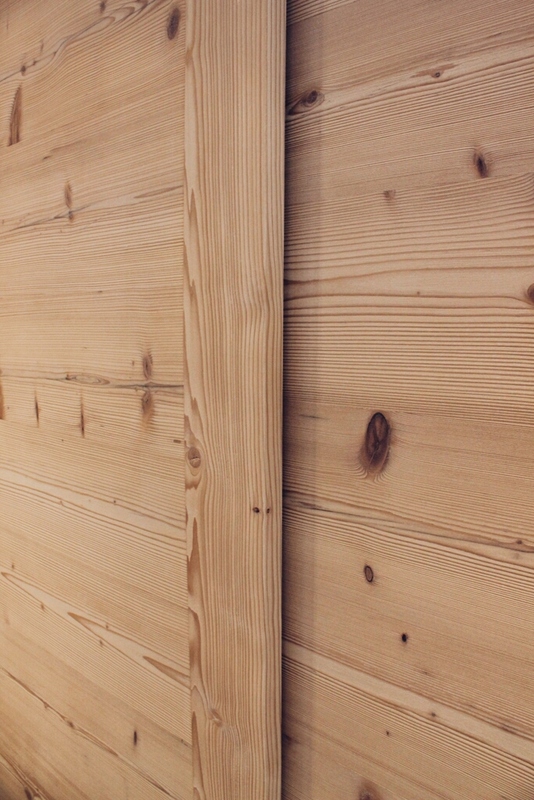 A place where sustainability isn’t a by-product or an afterthought but the leading principle and it shows. We will definitely return!